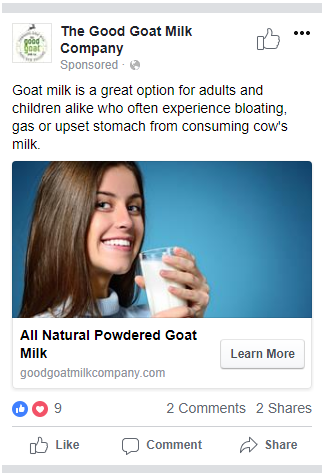 Good Goat is a startup brand that wanted to launch their powdered goat milk product in the U.S. It was so popular it sold out within the first year due to the highly effective website and digital marketing campaign we helped build for them. 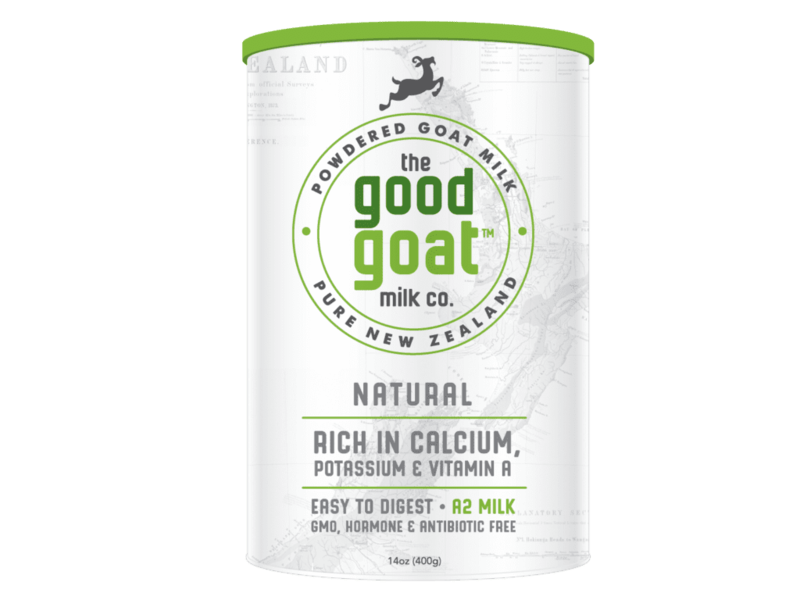 Despite being all about goat milk, Good Goat Milk Co, was actually started by a traditional bovine dairy owner in New Zealand. Recognizing that some people are intolerant to cow’s milk, he was intrigued by the health benefits of goat milk, which is often easier to digest. He worked with local New Zealand farms to develop a powdered goat milk product that was healthy, fresh, and environmentally friendly. The Good Goat Milk brand was born. From there, Good Goat needed someplace to launch their new product. Due to the popularity of dairy alternatives and environmentally-conscious products in the United States, they looked toward the U.S. market as their first test. Like any startup, Good Goat was facing an uphill battle because they were starting from scratch. They had a clear vision, a product, and a basic branding package, but not much else. They had no visual assets except their packaging, no copy, and no existing customers to tap into. To be successful, Good Goat needed to quickly generate brand awareness, build an audience, and prove the viability of the product and market, all on a limited budget. 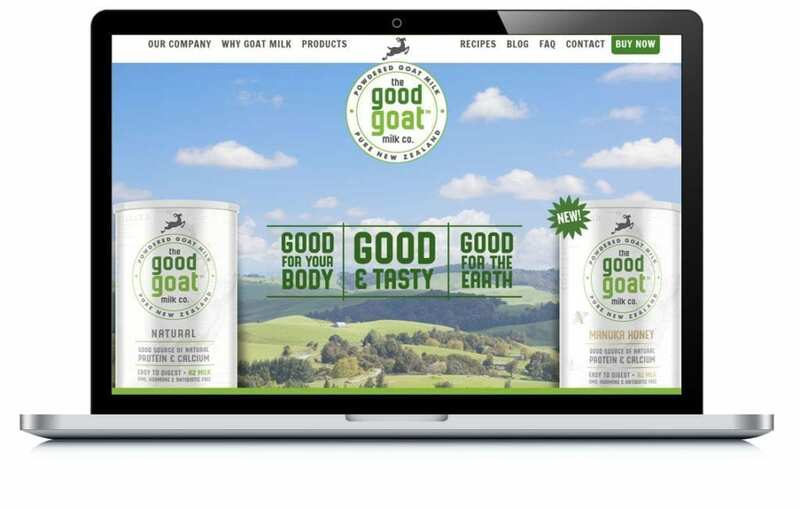 They reached out to EZMarketing to develop a brand new website and marketing campaign to promote their powdered goat milk. Good Goat knew that the first step was creating a great website. Since they had limited materials to start with, we tapped into their strongest asset: their vision. Good Goat shared their passion for good, healthy, sustainable products and their desire to see goat farming and goat milk gain traction in the dairy industry. We translated that into compelling copy and clean, natural-feeling visual identity. A mere two months later, we launched their new website. Once the website was live, they needed a way to drive people to it – again, without spending a fortune. We developed a marketing strategy focusing on two key tactics: content marketing and Facebook. Blog content seemed like a natural fit for Good Goat. The goat milk powder market is a tight niche that’s not well-documented. 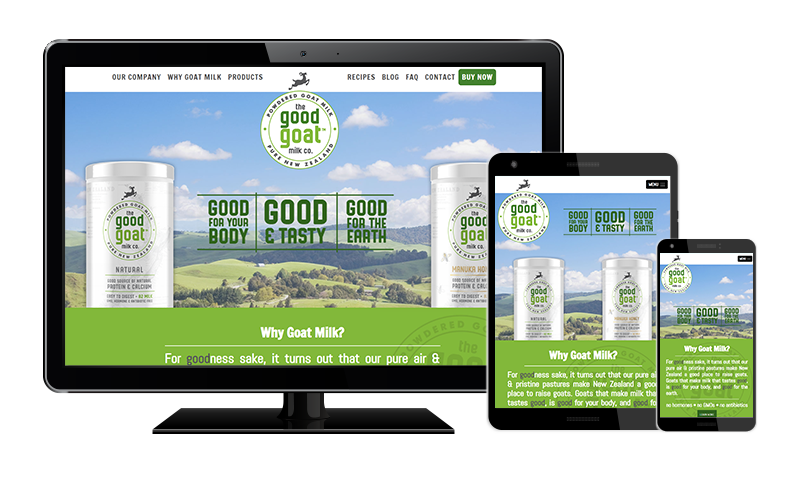 We saw the opportunity for Good Goat to fill that knowledge gap and provided high-quality, informational blogs to help educate their customers and drive organic traffic to their website. Less than a year after launch, Good Goat’s milk powder is so popular that it has actually sold out multiple times. The website, which now sees over 1000 visitors/month, is continuing to grow steadily and drive more people to buy their products. Good Goat’s Facebook page reached the 1,000 follower mark less than 8 months after launch. Their content and product announcements currently reach over 100,000 people each month, many of whom click through to their website and shopping page. 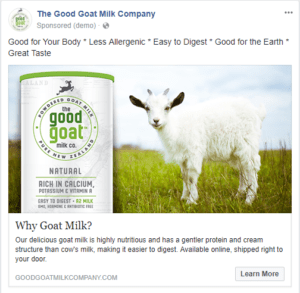 Most importantly, the marketing campaign has established Good Goat’s brand name in the industry and provided them with invaluable insight into the market and what they need to do next. Bolstered by the success they’ve seen so far, Good Goat now has the confidence to grow into new products and markets. They recently launched another powdered goat milk flavor (Manuka Honey), which is already getting a strong initial response. Their next target is expanding into China and the Asian market. Keep an eye on these goats – they’re going places!